Anxiety has been mentioned again on BBC Breakfast, as speculation as to why Singer / Songwriter Will Young has quit Strictly. He has openly mentioned in the past his struggles with Anxiety. Whether you watch the programme or not doesn’t matter. The important thing is it shines a light on the Impact that not having a healthy mental health can have on your life, your family, your job and your business. Below is an article I written. Mostly the term Mental Health is thought of as the opposite of Health, that is: mental health problems or issues, mental illness and disorders. Not intentionally of course, but it seems Mental Health is being associated in this way. A person’s condition with regard to their psychological, emotional and social well-being. How we think, feel and act. Reading the above statements, really highlights why our Mental Health and well-being are so important for us to look after and invest in. 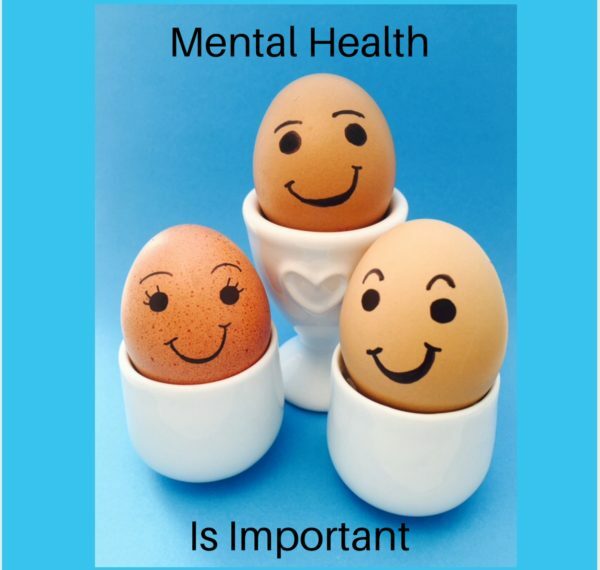 Feeling healthy mentally / psychologically does impact on how we think, feel and act, in all areas of our lives, family life, relationships, socially, at school, college, work and in business, how we look after ourselves and others. Also affecting our general attitude and mindset in how we cope with life’s ups and downs. Being much more than just having a ‘positive mental attitude’. If we feel mentally healthy we tend to be, and feel, happy, confident, relaxed and are more robust, tending to bounce back from knocks more easily. We have better resilience, which enables us to cope with, deal with and manage effectively, any stresses, changes, people, circumstances and situations that may be challenging in some way, in a healthy, positive, more solution focused way, that serves us and others in a good way. We can evaluate things in a logical way, and feel in control of our life. Consciously focusing on choosing how we act and react to our world – soon leads to easily, at subconscious level, (without conscious thought) making better choices in everything we do and say, lessening the ‘risk’ of things not being right and therefore the law of cause and effect working for us in a good way. Having positive Mental Health and well-being, and nurturing it, means we grow in many ways as a person, harnessing our emotional intelligence, meaning we understand ourselves more, and are mindful of how we impact on others around us and situations. We take time to also be mindful and understanding of others, and the actions and reactions they may choose, which could be for a myriad of reasons. Importantly we have a great relationship with ourselves and will make choices that also enhance our physical health, like the food we eat, what exercise we do, getting enough quality sleep, giving ourselves time for fun, for family and friends, and our interests. Which all in turn improves our Mental Health and well-being. This all lessens our risk of developing and suffering from prolonged Anxiety and Stress and the related physical impact these can have on our health. Our general physical health is improved and we tend to also have healthier immune systems, meaning less colds and other viruses. Productivity, Motivation and Performance at school and work is increased. So looking after You from top to toe, from inside out, is incredibly important. Value yourself- be confident to say No to what you don’t want, and Yes to what you do want, which leads to increased confidence. Teach and help those around you to do the same. The impact can not be underestimated, life will most certainly be better all round. The important thing is to see ‘mistakes’ or ‘failures’ or changes, as learning opportunities, helping us to grow as a person. If we for the most part act with good will and conscious thought, and set positive intentions, we will form great habits and our natural daily ‘default’ will be a positive one, leading to positive results.